If you’re a long-term booklover, chances are that you have had to cull your books at least once. We hit this point on a yearly basis – usually when we’ve reached the point where our titles have begun to take over the floor space, as well as countertops, drawers and chairs. For much of this time, we’re in denial. We tell ourselves that we’ll find a way to keep them all. We could re-arrange our bookshelves or find a miraculously empty cupboard somewhere. Perhaps we could stop building our collection altogether…erm no forget that! We go through all the potential solutions until eventually it becomes obvious that we’ll have to do that most dreaded of deeds and part with a few of our precious titles. Would I reread this book? I think this is a pretty good indication of whether you should keep a book or not. If it’s an absolute no, don’t let it take up your shelf space. The answer to this one can be quite revealing, but it’s not always enough to determine a final decision. Have I read this book at all? The tbr pile is a constant in our lives, but sometimes we have books that gather dust for years. If you still haven’t got around to picking a title up, then give yourself a deadline of say – three months to finish it. If it still doesn’t hit the mark, then maybe it’s time to pass it on. Do I have multiple editions? Yes, yes and yes. And I’ve only just realised this while writing this blog post. The answer is obvious – unless collecting editions is your thing in which case, keep on accumulating! Am I only holding onto this for sentimental reasons? Ugh! This one gets me every time. I keep so many books because they’ve been written by people I vaguely know, or because I’ve received them as a gift even though they haven’t completely rocked my world. Truthfully I feel ready to cull these books but then guilt sets in. I know I should be more ruthless but when heart enters the equation, it’s a much more difficult decision. However, when it comes to the fight for space, the head must rule. Would someone else I know enjoy this more? Gifting books is a pleasure and if you haven’t read The Gifts of Reading by Robert Macfarlane, go buy or borrow it now! You may be uncertain about a title but someone else may love it so why not give it to them? That way, the book gets a good home and you make someone’s day. Win-win! Of course, the ideal is not to have cull your books at all, which means more borrows, bookshelves or wiser purchases. Our post on creative ways to display books might also give you a few ideas on how to find extra storage spaces. Great post Mel. I need to do a cull this weekend as my tbr is out of control. I’ve many books that have been given me (other book lovers have passed them to me knowing I rarely turn down a book), and it’s making me feel stressed and sad. I want to see a new book that’s released and know I can buy it. This was a very convicting post. I am extremely guilty of holding on to multiple editions of the same book. My only consolation is that usually one copy is 85+ years old and the other is brand spanking new. Thanks so much for sharing! I think the age difference is rationale enough! We love books like friends sometimes so it’s extra hard to part with them. Oh it’s so hard with gifts because they were given with such thought. I really empathise! One of my latest tactics is to borrow from the library and then if I love it, consider buying. If I still want it after a few months then I know its a keeper! Me too! I find it much easier to get rid of non-bookish stuff! I’m another one who has to do a yearly cull, and it’s always so hard! 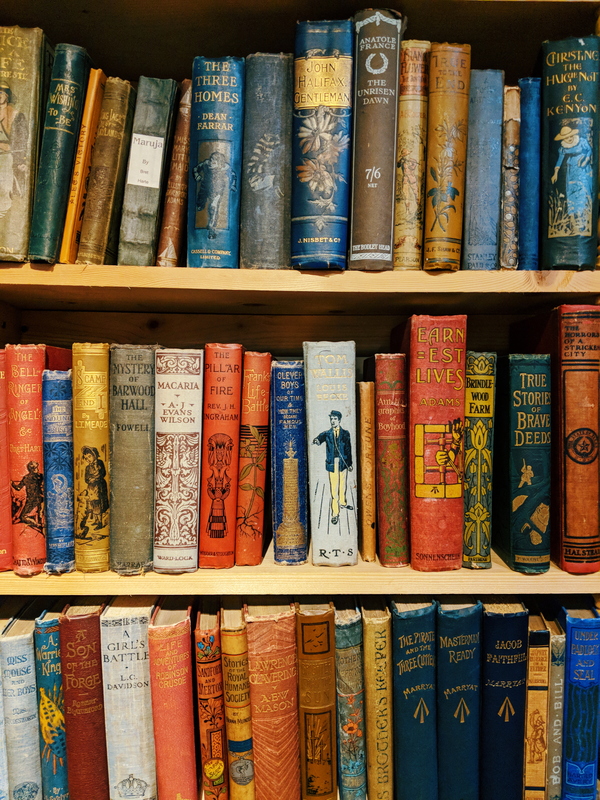 You’re right about holding onto books for sentimental reasons… I think my biggest problem is that a lot of my books are classical, which generally means that they have those gorgeous covers and thick pages that you just can’t let go of! Thanks for the post! I feel your pain! Classics are the hardest. We generally hold onto them although many aren’t great quality editions. Yours sound lovely!